Welcome to Phở Anh Đào! 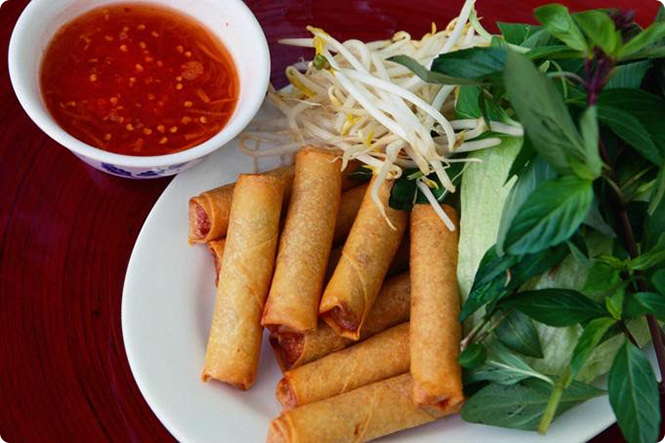 Located conveniently in a beautiful corner of Edison, NJ 08817, Phở Anh Đào has been proud of serving our valued customer a range of Vietnamese cuisine from Pho, Rice Noodles Soup, Seafood, Rice Dishes … to Vegetarian Dishes. With many years of experience, we understand the right way to combine all the ingredients by our unique recipes to make a wealth of uniquely flavored, mouthwatering dishes that almost no other country can claim.In addition, your health is our first priority. All ingredients are chosen and cooked carefully to ensure freshness, retain nutrients, but give you our special flavor. Clean and beautiful space would make you feel comfortable, relaxing, all of your fatigues and tiredness will immediately fade away! Copyright © 2015 Phở Anh Đào ! | Prices may change without notice due to expected food cost.